Bon Jovi, Pink, Iron Maiden, Scorpions, Megadeth, Slayer, Charlie Puth and more are set to headline the 2019 edition of Rock in Rio in Rio de Janeiro, Brazil. The event will take place September 27-29th and October 3-6th at Olympic Park of Rio de Janeiro. 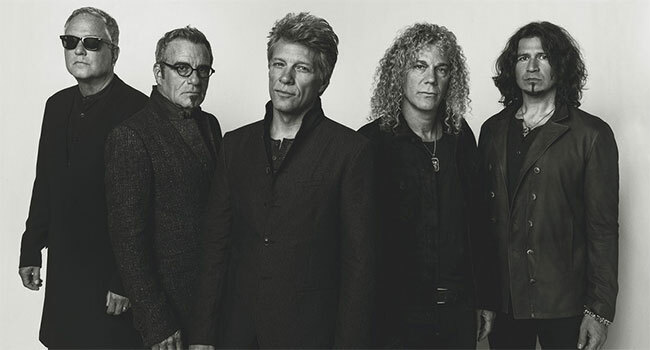 Bon Jovi will headline the night of the September 29th on the World Stage. This will be the fifth appearance by the band at the event. They last headlined in 2017. Iron Maiden, Scorpions with Special Guests, Megadeth and Grave will headline the World Stage on October 4th. Pink, Black Eyed Peas and Anita will headline the World Stage the next night with Muse, Imagine Dragons and Nickelback closing out the event on the World Stage on October 6th. World Stage headliners for September 27th and 28th have yet to be announced as of press time. Sunset Stage headliners include Jessie J on September 29th, Slayer, Anthrax and more on October 4th, Charlie Puth on October 5th and King Crimson on October 6th, among others. Fans who purchase a Rock in Rio Card have a chance to secure their place ahead of anyone else. Tickets go on sale to the general public on April 11th at 7 pm BST/4 pm ET/1 pm PT at rockinrio.com.